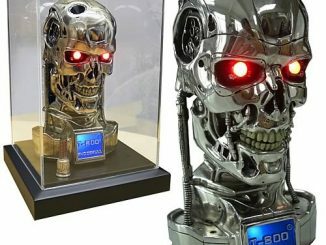 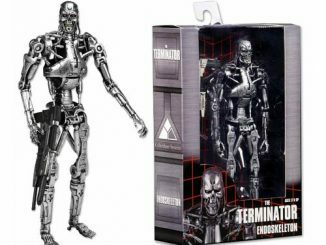 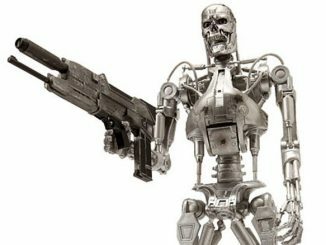 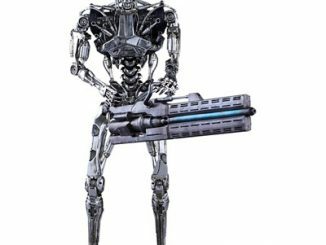 This Terminator Genisys Endoskeleton Skull 1:1 Scale Prop Replica will likely be the most menacing piece in your collection. 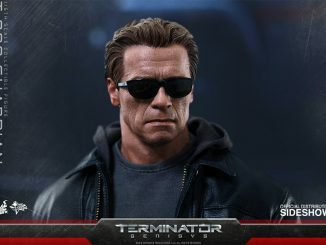 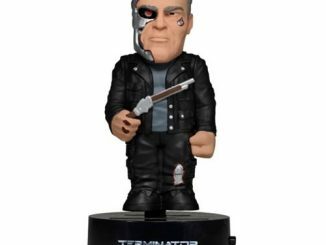 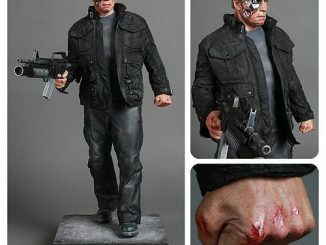 It is based on the Terminator from the new movie Terminator Genisys. 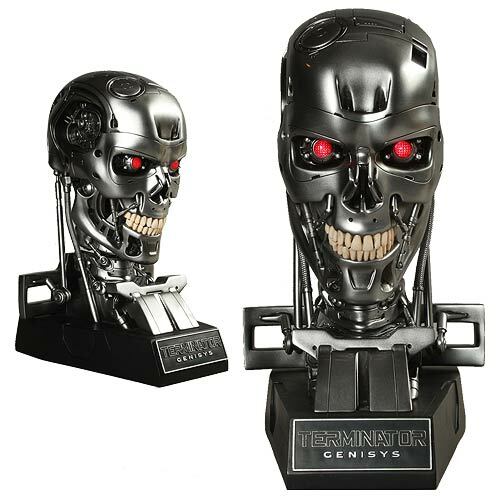 This replica features a completely new sculpture and design by Legacy Effects. 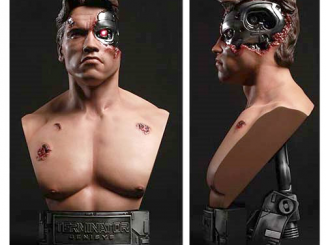 It was designed digitally, with each part printed for laser accuracy and proportion. 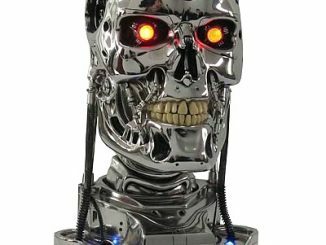 It was also produced from the original molds and set on a museum quality base with lighted eyes. 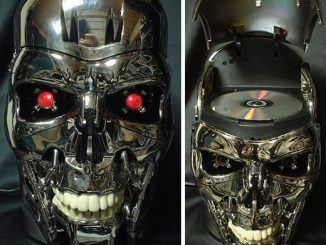 You do not have anything like this on your shelf. 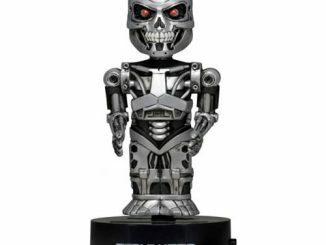 It measures about 15-inches tall x 8.5-inches wide x 10-inches long, including a 2-inch base. 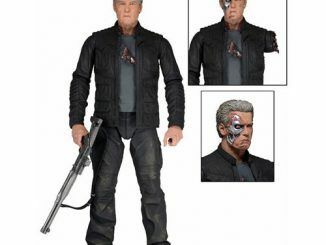 Only $599.99 from Entertainment Earth.